For initial consultation for 45 minutes which includes treatment. for 30 minute follow-up treatments. 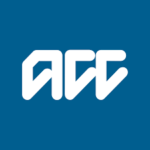 ACC subsidies are available for all treatments resulting from an accident or injury. Recent legislative changes have meant that patients are now required to make a contribution towards this treatment. We like to allow at least 45 minutes for an initial consultation and treatment, and 30 minutes for follow-up treatment sessions. No referral is required to see us. However if you do have a referral from your GP, surgeon, hospital, specialist or other health provider, then please do call us to book an appointment.